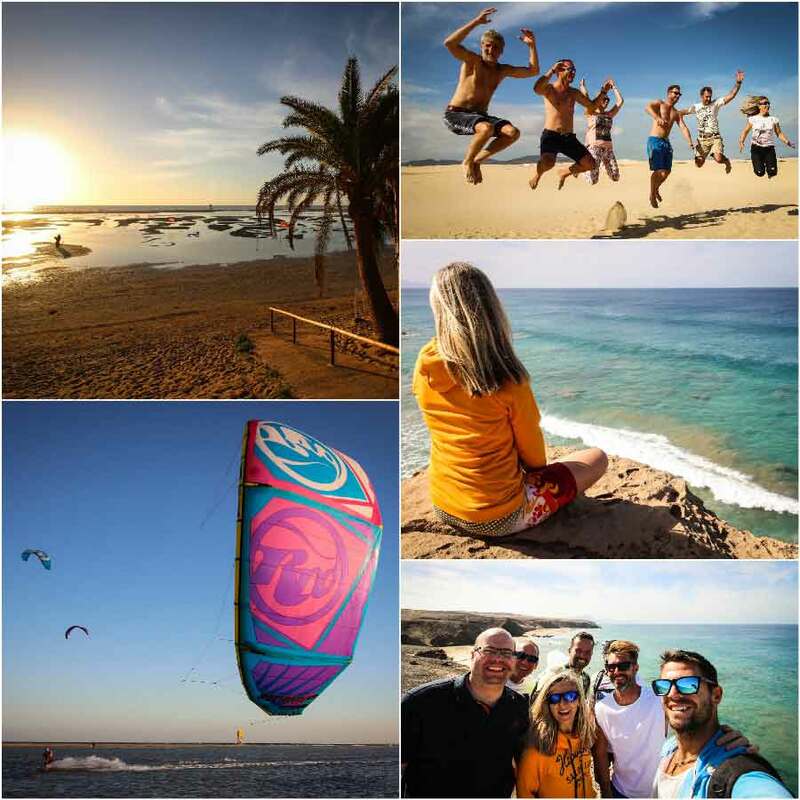 Kitesurf video from our newest trip to Fuerteventura Canarian Islands. Where to go during winter? The Canarian Islands still offer warm weather and good winds in December even though they are in Europe. We just checked the ticket prices and the wind forecast and immediately felt that a new trip is on the horizon. One week later we landed on the island with a group of 20 people. The forecast predicted very good wind and luckly it turned out to be reliable. 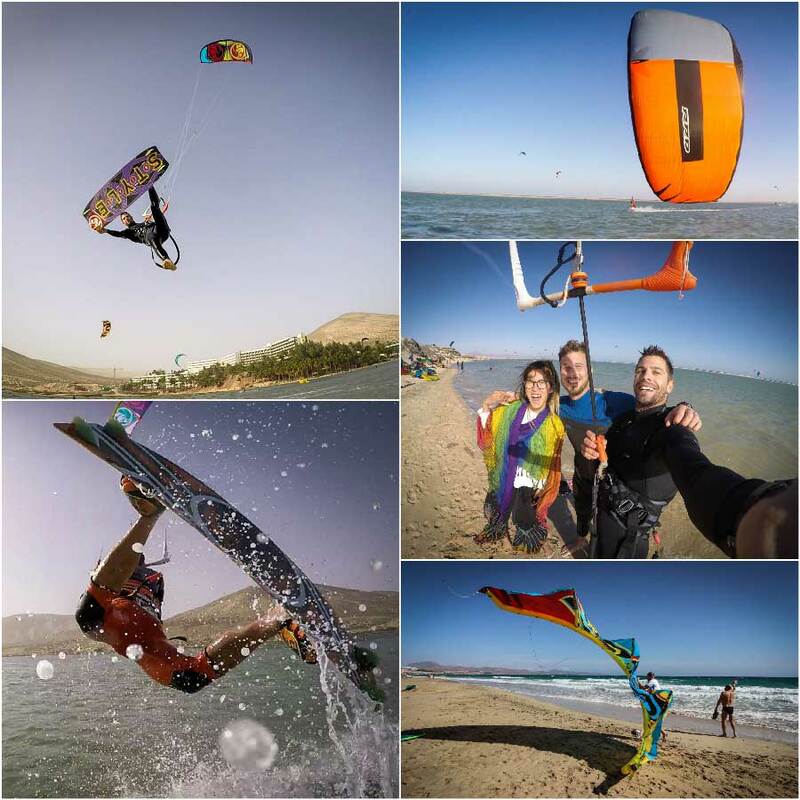 We could kite every single day. ? The flat Lagoon of Sotavento is only available for a few hours/day. But it is a nice place to practice your new moves. There are many other spots on the island with deep water. On the North you can find the Flag Beach where the waves are bigger so you can also practice riding on a surfboard or foil. At this time of the year the whole island was uncrowded and that’s what we enjoyed the most. Check our other travel videos. Traveling around winter to further kite destinations is always wonderful but its not easy to find places with reliable winds. Thailand, Vietnam, Turks and Caicos Islands. Just a few places where we have been. So far we didn’t find any place where you can be 100% to have wind, but we are keep searching each year.